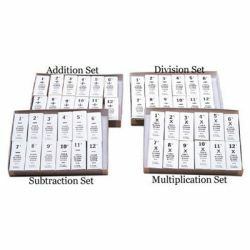 This kit helps students master math fundamentals as they use these stamps for practice and games. 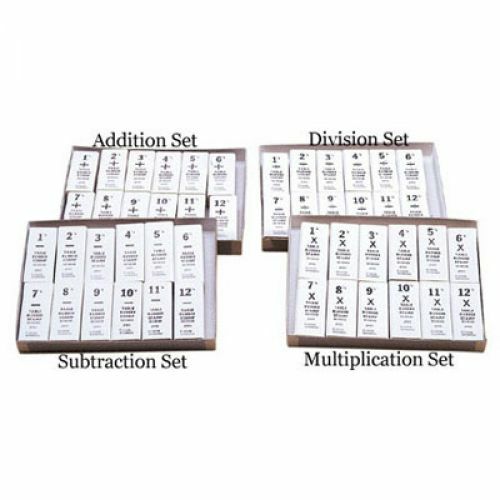 Each stamp covers a single Fact Table and each set includes 12 stamps for practicing math facts through twelve. Total of 48 stamps. Full set shown, purchase of this item is for the addition set only.